The Toulouse room will charm you by his cosy side with its old visible beams and its tiling of typical time of lauragais. 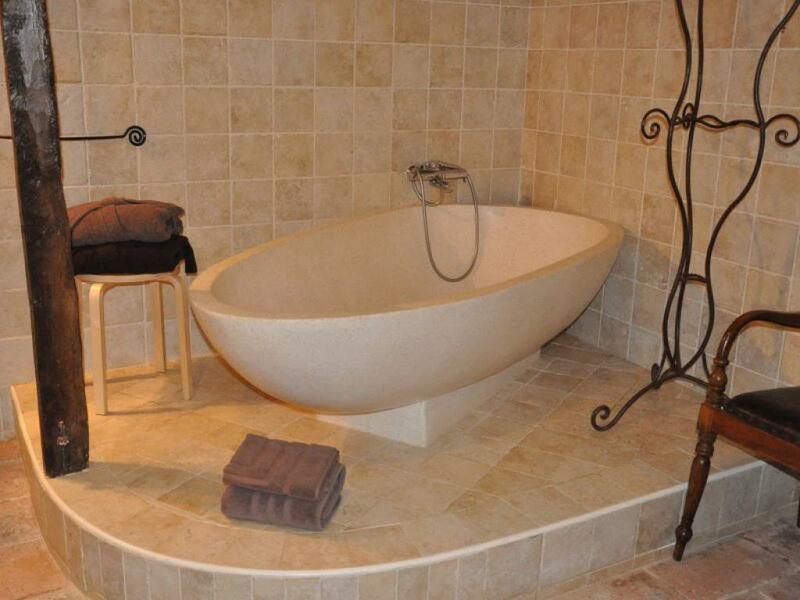 If you like to be stretched out in your bath, its enormous bath-tub 2 places cut in white stone of Bali will charm you. 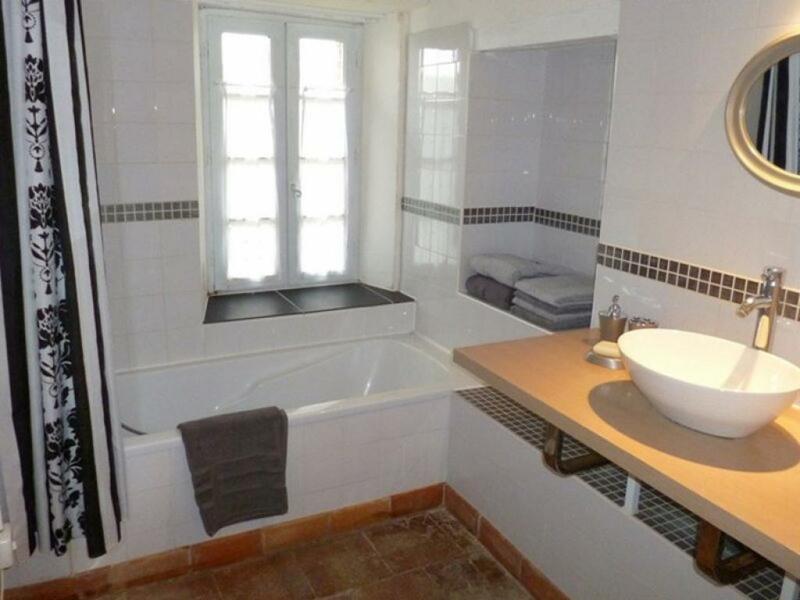 The room has of a bed into 160, a hair drier and a separate toilet. 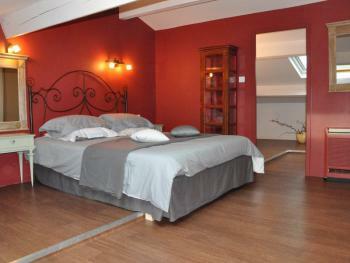 The room makes 16 m ², it is located at the ground floor. 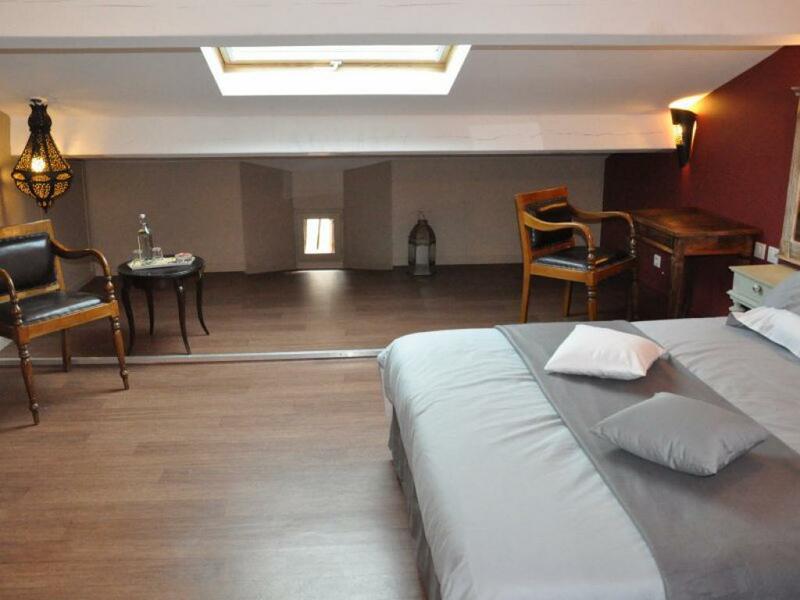 Our larger room, the Languedoc-Roussillon room, with its 21 m ², will enable you to pass a stay of most comfortable. The Languedoc-Roussillon Room with sight on the swimming pool and the lake has of a double bed of 180, an independent bathroom and a separate toilet. 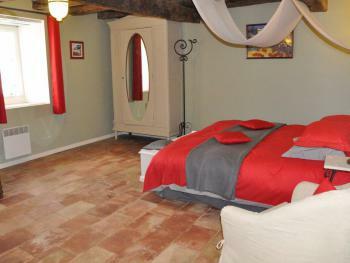 This Room can accommodate to 4 people, 2 adults and 2 children in extra beds. 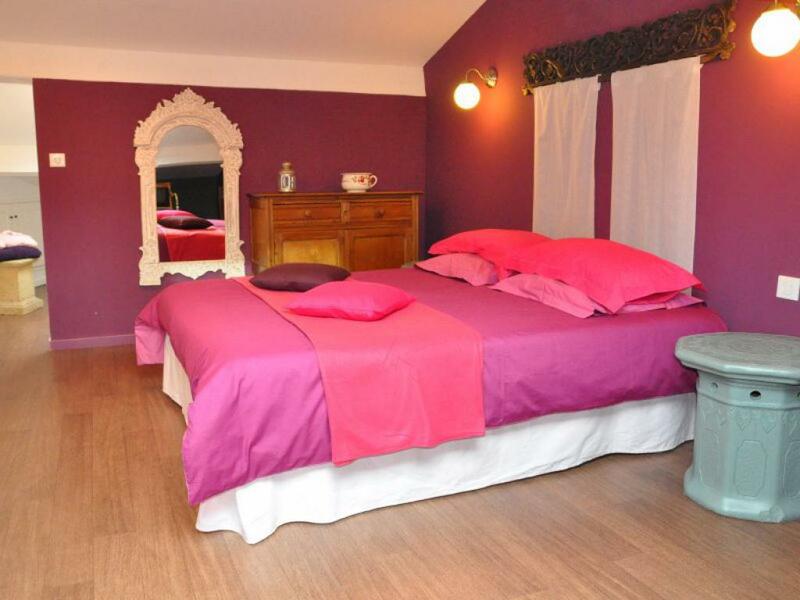 Located on the floor, the room Haute-Garonne will charm you by its tons hot and coloured. 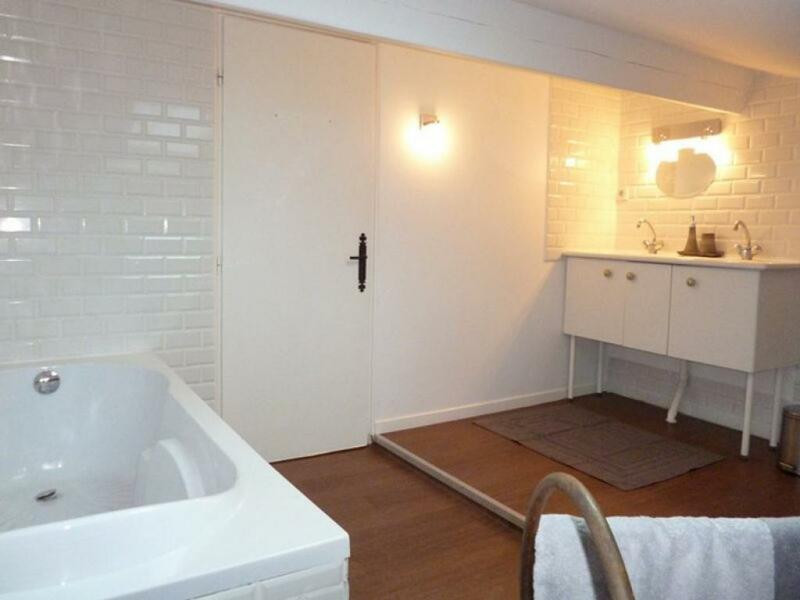 The room and the bathroom are mansard-roofed what gives them an unquestionable charm. 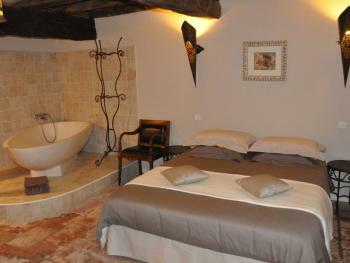 The room is equipped with a bed into 160, dry a hair and dry towels and has air conditioning. 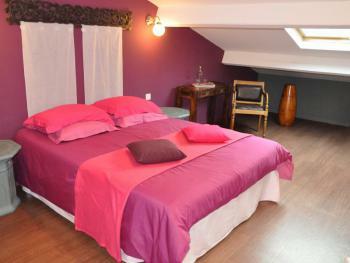 The room Midi-Pyrenees is mansard-roofed and roomy, all in nuance of soft colors. The bed of 160 promises comfortable nights to you. 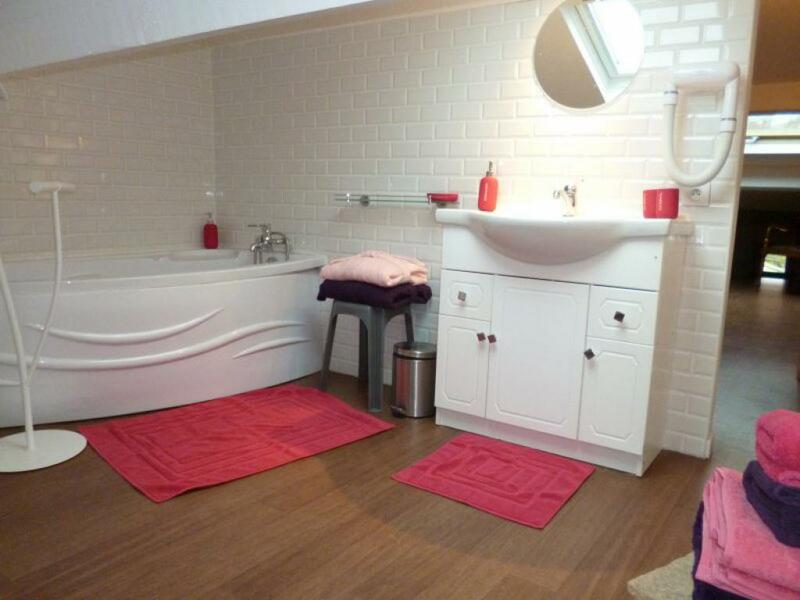 This beautiful room enables you without problem to put one even two extra beds. 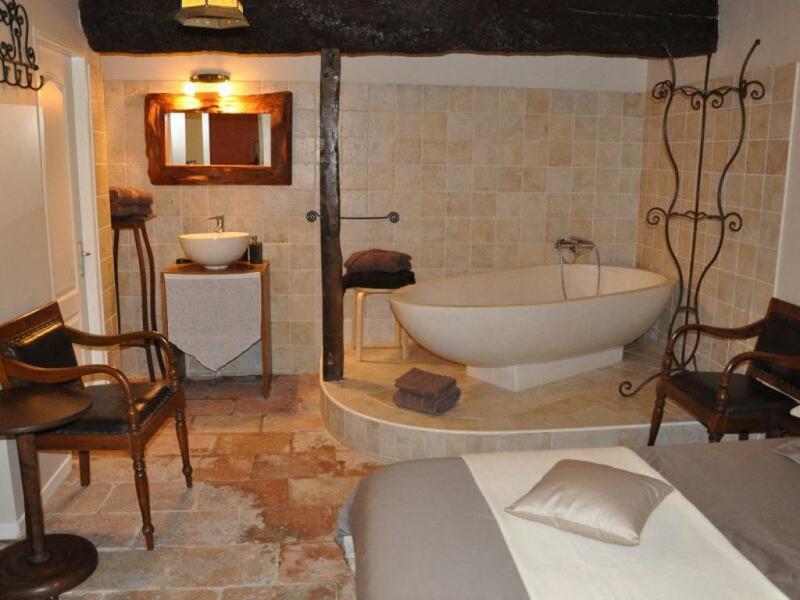 As for all our rooms, the bathroom is equipped with a hair drier and the toilet is separate. The room is located on the floor and has air conditioning.